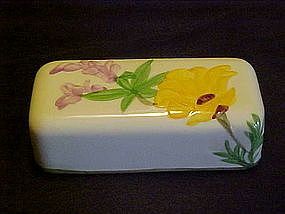 Here we have a nice replacement lid for your 1/4 lb Franciscan poppy butter dish. Yellow and lavender poppy decoration. Perfect condition. USA.